Sermon: May 13, 2018 Thank you, Justus! April 23, 2017 God takes us where we’re at. April 2, 2017 Where’s the Miracle? February 5, 2017 You are the salt of the earth. 2013 August 4 — 10:30 a.m.
With a reading of the Gospel of Luke 12:13-21, by The Rev. Susan Sowers, Associate for Pastoral Care. 2013 July 28 — 10:30 a.m.
With a reading of the Gospel of Luke 11:1-13 by The Very Rev. Walter Brownridge, Dean. 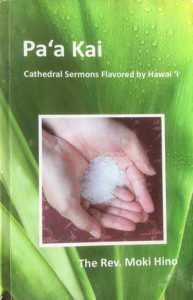 2013 July 14 –10:30 a.m.
With a reading of the Gospel of Luke 10:25-37, by Dr. Kaleo Patterson. The story of the prodigal son in terms of a bower bird and a poetic retelling of Jesus’ parable from Luke 15.